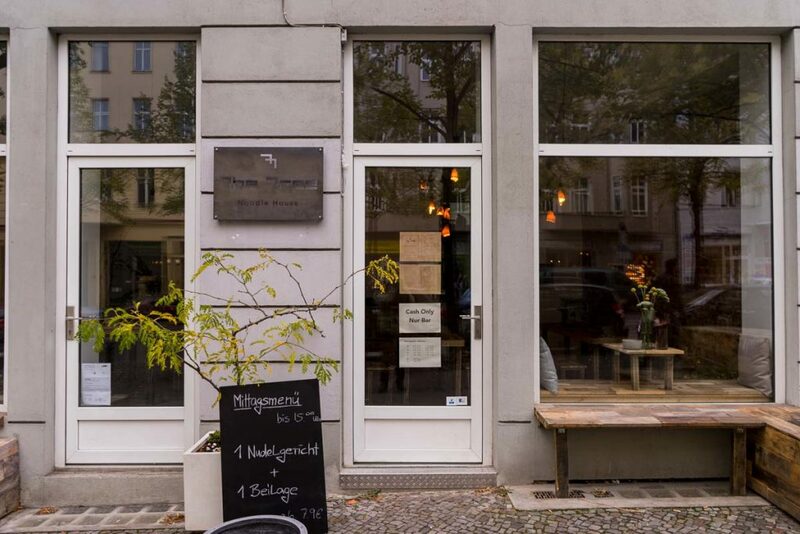 Order the "Rosa" and the "Ahorn"
Walk by The Tree on Brunnenstraße and you might not even realize you’re passing by a restaurant. You might think it’s a gallery, design store or maybe a flower shop. What you definitely won’t expect is a Chinese noodle shop. That’s exactly what happened to me and I’m very happy that I one day stumbled into this brand new and very sweet project. 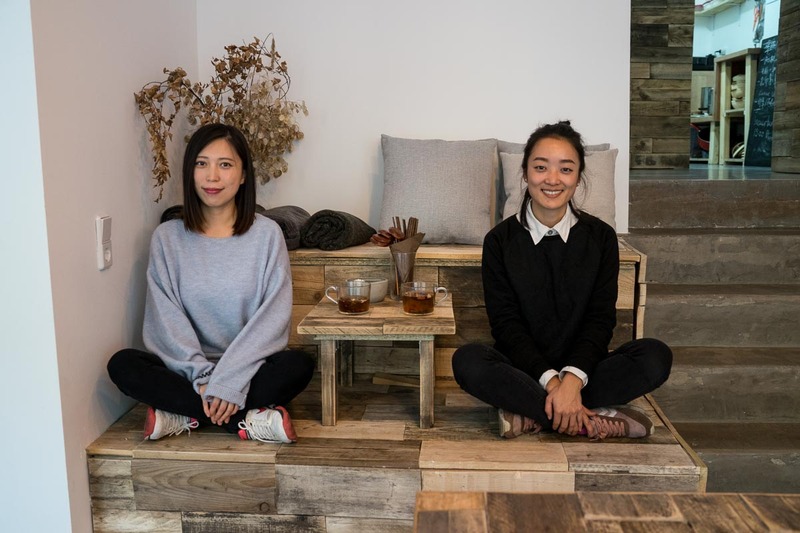 Ling Ma and Xiaoting Zhang, the brains behind The Tree, didn’t really plan on ending up in the restaurant business. They both originally came to Germany to study, Ling as a landscape architect and Xiaoting as a railway engineer. 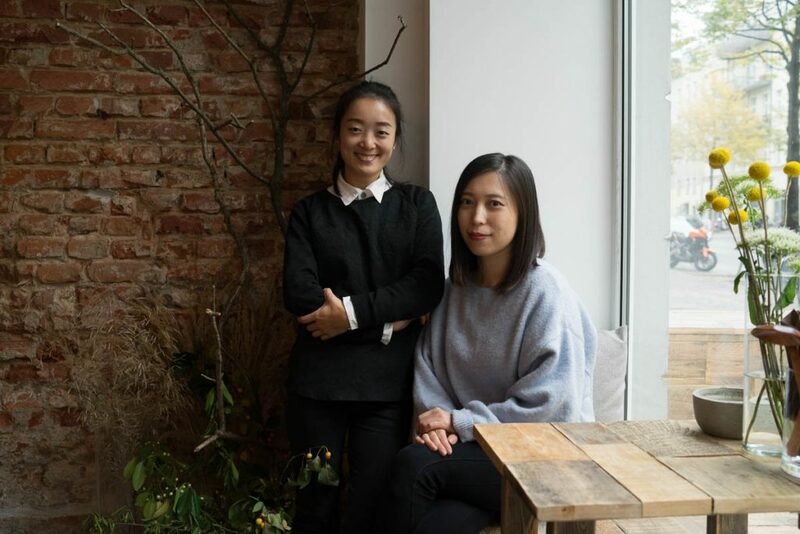 Facing the reality of a difficult job market and an ever growing passion for the topics of food, design and architecture, Ling eventually decided to pursue her dream of a food and design project and she eventually managed to bring her good friend Xiaoting on board to share this dream and stand by her side to execute it. The passion for design and architecture runs deep in the meticulously designed venue, the big windows let in plenty of light into the space that used to host a knitwear shop but now competes with any central Mitte gallery space when it comes to minimalistic hipness. 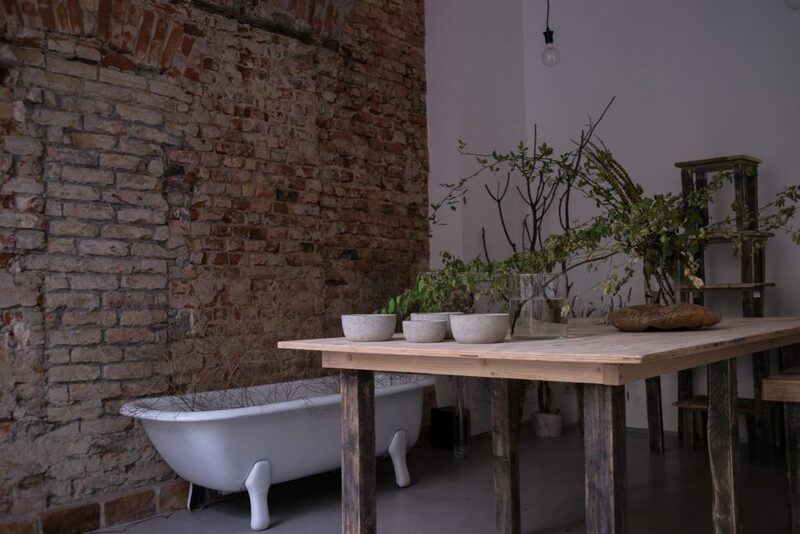 Enter the The Tree and walk into an urban forest, complete with bird chirping over the speakers, where one room serves as dining room and one as gallery and event space. Chalk white side walls are flanked by two mirroring brick walls where the intentional exposure of the house foundation adds a rough and homy touch to the minimalistic space. Ling and Xiaoting made these tables and chairs themselves from EU-palettes but that really doesn’t make them any less beautiful and comfortable. 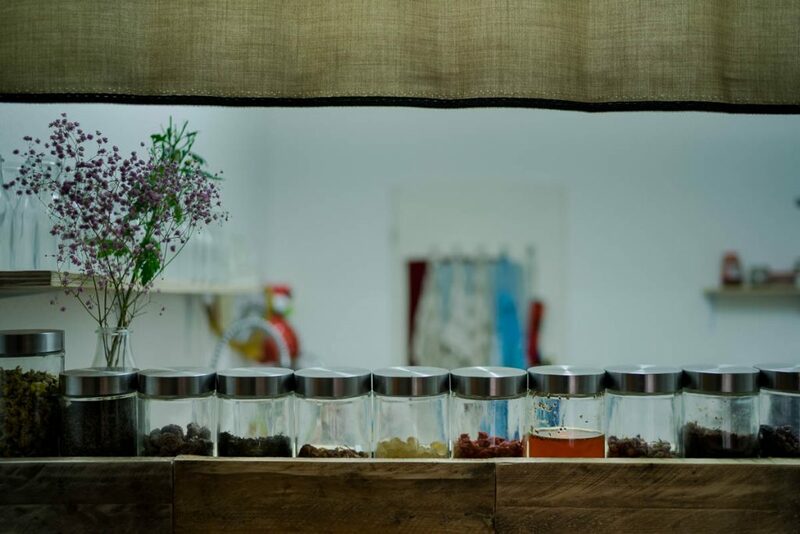 The food at The Tree complements the concept beautifully and showcases unexpected qualities. 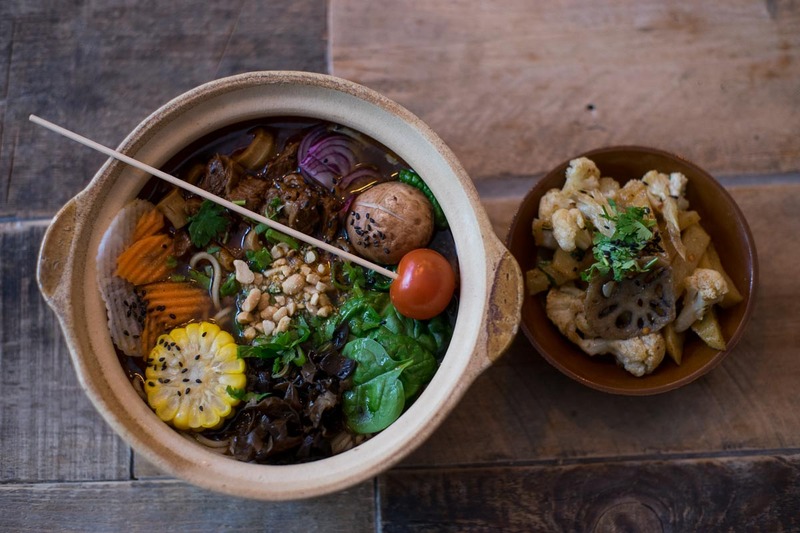 It reflects the culinary heritage and upbringing of both owners, which is Sichuan for Ling and Dongbei for Xiaoting, but also incorporates all the experiences the two of them have made in Berlin. 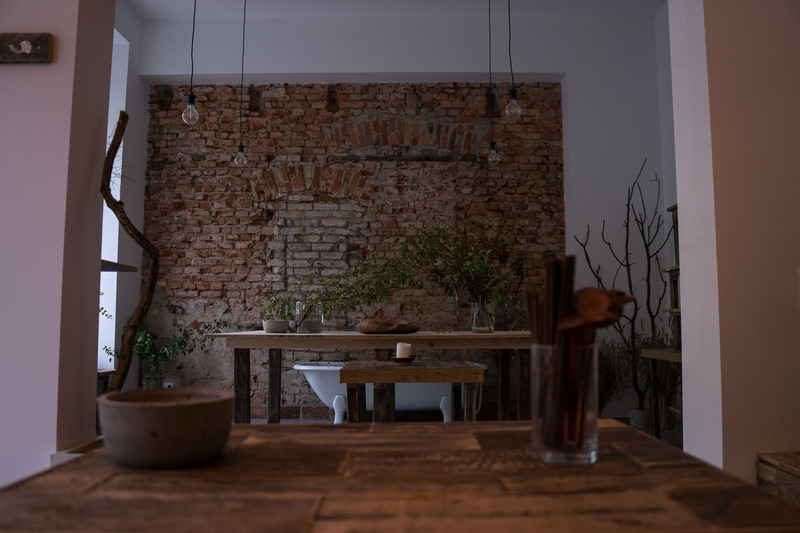 The menu is centered around cold starters and noodle dishes, which in its essence is traditionally Chinese Sichuan, but the execution of this food is modern and fresh in a way that I really haven’t seen in Berlin before. 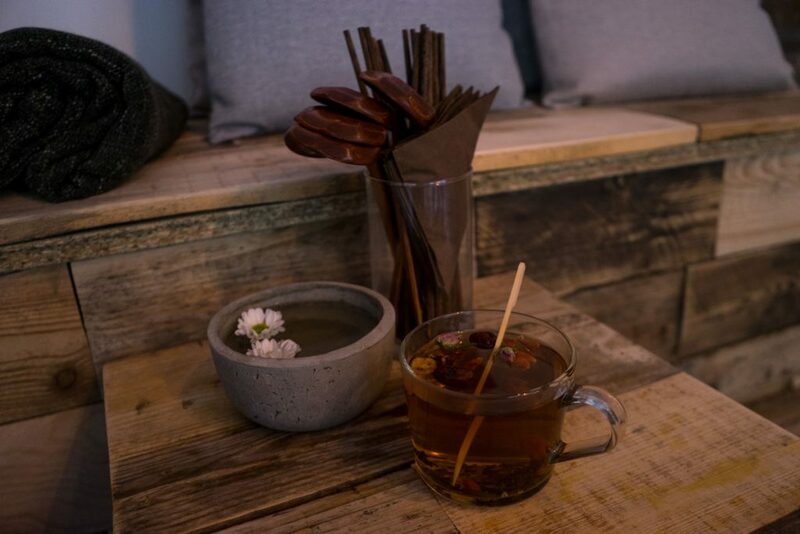 At the beginning of a meal at The Tree you should have one (or share many!) of the absolutely marvellous cold starters. 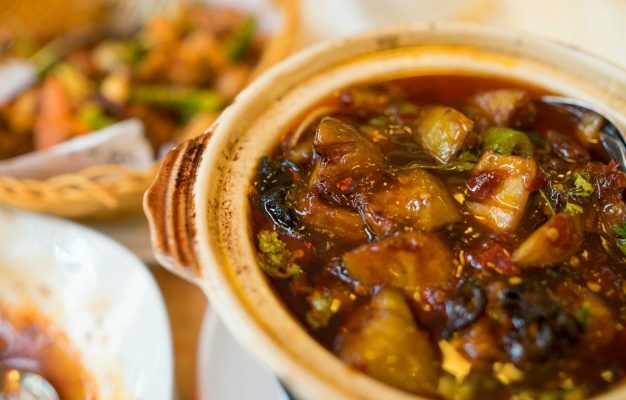 These small bowls reflect traditional, Chinese fare, like the silk tofu with sesame oil or the “Rosa” pickled veggies, the “kimchi of Sichuan” (Pao Thai), which shoot of a insane, vinegary firework of taste explosions in your mouth. 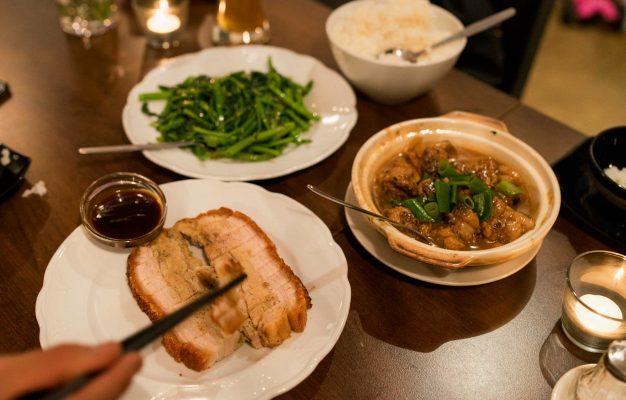 Or the Eisbein with thin slices of cooked pork knuckle, knotted tofu, a surprisingly light and refreshing dish despite the seemingly fatty pork, something which holds true for all the food at The Tree. The main, culinary protagonist of The Tree are of course the handmade, pressed noodles. Based on an original recipe from a friend of Ling’s mother, they are served in two variations, either “Dan-Dan style” with a sauce, or as a soup in a meat or vegetarian broth. These absolutely marvellous specimens of Chinese noodle culture (made from wheat, water and salt only) ravel from their simplicity. 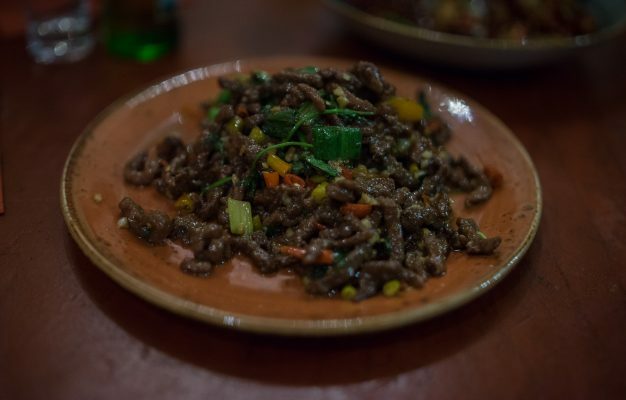 The very best way to eat these noodles at The Tree is in form of the “Ahorn” dish, where the fabulous noodles are mixed with a minced meat sauce featuring so much Sichuan pepper that it will make your taste buds tingle for hours. A dish so extraordinary tasty and spicy that it instantly grabs a spot as one of Berlin’s most uncompromisingly delicious bowls of Asian noodles, I absolutely love it. Don’t get me wrong, the noodle soups are also delicious, but the minced meat noodles are just special. 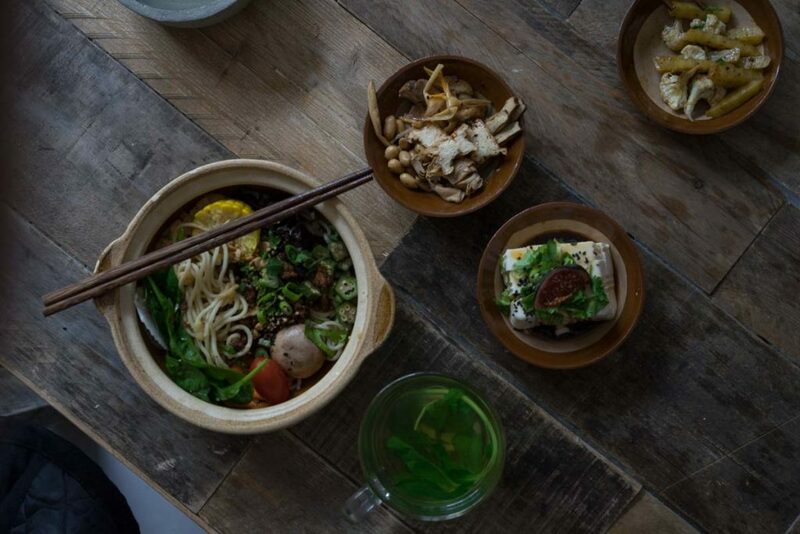 All the noodle dishes are also available as vegetarian dishes. The Tree goes way beyond the cliché of a hip, Asian eatery and delivers not only in terms of experience, but also in terms of food. 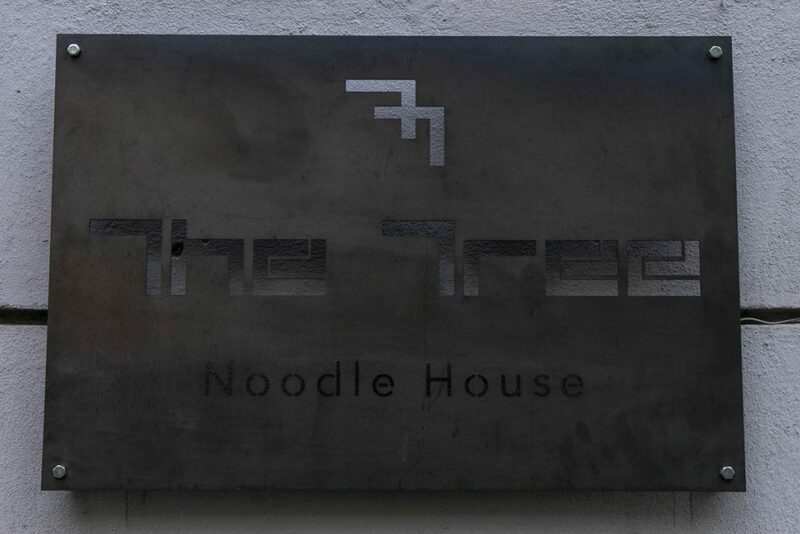 In a city where we see the opening of a modern and very mediocre Asian restaurants every week, The Tree delivers a food experience that only can be described as refreshingly traditional and the location in Northern Mitte is a true addition to a Kiez deprived of many great food alternatives. The Berlin winter is coming, that’s for sure, and the spicy noodles from The Tree will be one of my tools to endure it.